Even the most grievously injured medical malpractice victims can’t find a lawyer. Jennifer Eastman already was in anguish when she went to the hospital on Jan. 4, 2013, to have the dead fetus she was carrying removed from her uterus. The procedure and the loss of a child were bad enough. But it got worse. Following the procedure, while in the recovery room, Eastman knew something was wrong. Her body was going into shock, she said, and it felt as if her body was pulling away from her. A doctor who examined her failed to notice that the first doctor who removed the fetus had perforated Eastman’s uterus during the procedure. She was bleeding to death. A nurse eventually noticed that something was wrong. Eastman was rushed back to the operating room, where doctors performed emergency surgery to remove her uterus. For Eastman, who came from a large family of eight brothers and two sisters, her own dream of having a large family came to an end that day because of a medical error, she said. “To lose the baby and to lose the uterus all at once, it was heartbreaking,” she said. Following the botched procedure, Eastman wanted justice. But she was unable to find a lawyer to take her case. Lawyers who handle medical malpractice cases say they are turning away people who were victims of egregious medical mistakes. The odds are stacked against them when it comes to juries, lawyers say, but a law passed in 1976 by the South Dakota Legislature is also deterring legitimate claims. The law in question capped noneconomic damages in medical malpractice cases at $500,000. It did not include an inflationary increase. Had it, the cap would be more than $2 million today. Meanwhile, the cost of bringing malpractice cases has become enormous. Lawyers almost always take the cases on contingency, meaning they front the costs, because clients are unable to pay, and they only get paid if there’s an award or settlement. The cost of each case can run into the hundreds of thousands in time and expert witnesses. And in some cases, insurance companies can swoop in and take money from an award, leaving less for the victim and lawyer. Because of the way damages can be awarded in South Dakota, the economic calculus means that many deserving clients will not get their shot at justice, lawyers say. Steve Johnson, one of the state’s top plaintiff lawyers, decided recently to stop taking medical malpractice cases, in part because of the cap on noneconomic damages. For people such as Eastman, it means they are out of luck. Others say the cap is vital to ensuring that South Dakota maintains a strong health care system. Dr. Mary Milroy, president of the South Dakota State Medical Association, believes the cap deters frivolous lawsuits. Health providers, she said, live in constant fear of being sued and what a lawsuit can do to their reputation. “If people judge South Dakota as a dangerous place with no caps, they may not come here to practice,” she said. Ed Evans, a top medical malpractice defense lawyer, said the Legislature created the cap 30 years ago in part to protect rural providers who were having trouble affording medical malpractice insurance. “I think a strong argument can be made today that the cap is important for health care in rural South Dakota,” he said. “I’m not personally aware of the cap on noneconomic damages in medical malpractice being a significant issue in South Dakota,” he added. About 30 states have laws that restrict what plaintiffs can recover in noneconomic losses, according to Stanford Law School Professor Nora Freeman Engstrom. Noneconomic losses include awards for pain and suffering, emotional distress, loss of companionship and other injuries. In recent years, state supreme courts in several states have invalidated caps. Studies show that many justifications for caps are “flimsy,” Engstrom said. For example, only about 2 to 3 percent of people hurt by medical mistakes ever attempt to seek compensation. Other studies show that caps do not affect the supply of physicians or control health costs. The caps also mean that people with the worst injuries, such as brain damage or disfigurement, can’t receive compensation that is commensurate to their suffering, she said. Lawyers, meanwhile, have to consider whether a case is financially worth the gamble. For clients who don’t have large losses not subject to the cap — such as lost wages — it’s often not economically feasible for them to take the case. Such a scenario, Engstrom said, disproportionately hurts those who are already impoverished, including women, children and the elderly. “This means that lawyers will decline many even wholly meritorious cases in a severely capped environment,” Engstrom said. Sioux Falls lawyer John Hughes knows about having to turn away valid cases. Last year his office turned away 100 to 120 inquiries. He typically accepts only about two or three cases a year because they take time and require so much investment of his firm’s resources. Simply evaluating all the cases is a huge time commitment. The cap on noneconomic losses serves as a barrier to the justice system for many who have been wronged by negligent health providers, Hughes said. And one of the dirty secrets of the system is that many of those who are harmed end up on Social Security disability, Medicare and other taxpayer-funded programs because they couldn’t access the justice system. The public ends up subsidizing the health care industry and their insurance companies. Opponents of the cap say it creates a privileged class of people and institutions which aren’t held to the same standard for negligence. Other professions don’t enjoy that protection. South Dakota’s cap applies not only to doctors, but to dentists, chiropractors, nurses, dental assistants, nurse midwives, as well as other specialties and their corporate employers. 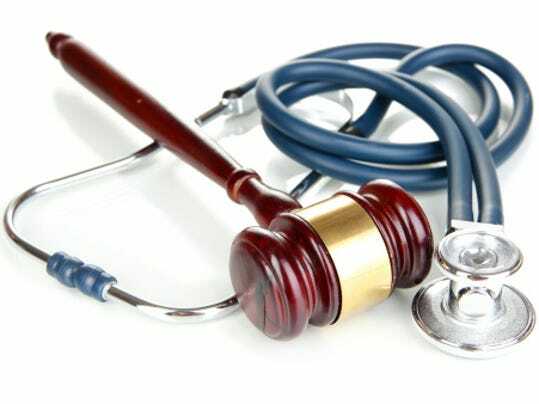 The reality, say opponents of the cap, is that if you’re going to get hurt by a doctor, it’s better to be run down by one who is driving negligently than to be hurt by one who practicing medicine negligently. But Evans said that courts have upheld caps if they are deemed to be in the public’s best interest. And ensuring that the public has access to health providers and a health care system is in the public’s best interest. Health professionals aren’t alone when it comes to limits on liability. The Legislature has limited the liability of retailers who sell alcohol to somebody who might be intoxicated, Evans said. And they’ve capped injury claims that rodeo participants can make to $100,000. South Dakota’s cap of $500,000 on noneconomic damages doesn’t include lost wages, future lost wages, medical bills and other damages, Evans said. Other states, meanwhile, cap noneconomic damages at $250,000, making South Dakota’s cap more generous. Another reason the cap isn’t a problem, Evans argues, is because you don’t see juries trying to award more than $500,000 in medical malpractice cases. Awards that exceed $500,000 in other types of torts where there aren’t caps — such as auto accidents — also are rare. “We don’t see it in other torts, and we don’t see it in medical cases,” he said. Like Hughes, Johnson said his office routinely turns down four or five cases a week. His departure from the field leaves a dwindling number of lawyers with the financial resources to take medical malpractice cases.